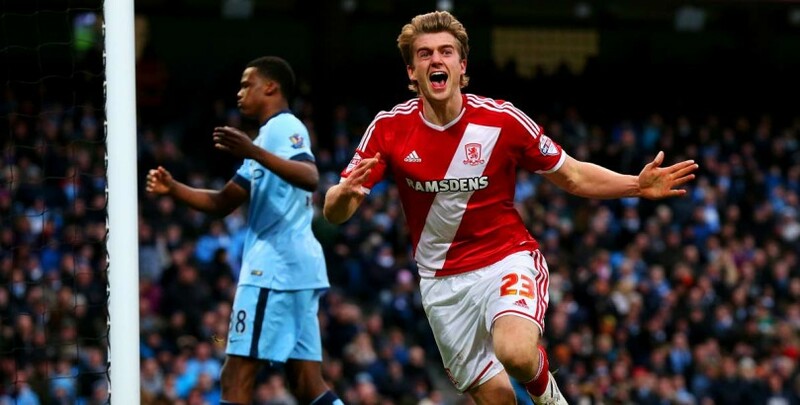 The klaxon has sounded on Patrick Bamford’s loan move from Chelsea to Crystal Palace, with bwin.com pricing up the Lincolnshire native at 17/20 to bag over 6.5 Premier League goals next term, while the same odds say he fails to hit that mark. Going by Eagles gaffer Alan ‘Pardiola’ Pardew’s record of coaxing goals out of top-flight strikers, seven or more in the coming campaign should be well within Bamford’s reach. Pardew’s greatest achievement in this respect may have come during his first season as a top-flight boss in 2006/07, when Marlon Harewood fired home a whopping 14 times, having previously been seen as a centre-forward who would struggle to convert Championship form at a higher level. At Newcastle, the south Londoner took over a team powered by Andy Carroll’s goals in December 2010, but was promptly forced to sell the big Geordie to Liverpool for £35m a month later. Enter Leon Best, who returned from injury to grab six goals in ten starts under Pardew between January and March 2011, prior to picking up another knock. Early in the following campaign, Demba Ba racked up a fantastic tally of 15 Premier League efforts, including two hat-tricks, before heading off to the Africa Cup of Nations with Senegal in February. Ba returned to St James’ Park with countryman and new Newcastle signing Papiss Cisse, who rippled the onion bag 13 times in his first 14 top-flight outings, with four braces in amongst that haul. Having given the Gallowgate End faithful such goal-scoring gems over four years in the north east, and receiving scant support in return, Pardew left for old stomping ground Selhurst Park in January, where he has overseen the final part of Glenn Murray’s Palace rehabilitation. The 31-year-old managed just one Premier League strike in 14 appearances in 2013/14, after spending ten months on the sidelines with a knee injury sustained in his side’s Championship play-off final the previous May, and spent the first half of last term on loan at Reading. Seven subsequent Murray goals in 17 games directly contributed to Palace claiming 15 top-flight points between late February and mid-May, with Pardew leading his local team to their first ever Premier League top-half finish.